Li-lan’s work will be included as part of the Tina Keng Gallery’s inaugural exhibition, R/evolution, which opens November 1st in Taipei at their new exhibition space, TKG+. R/evolution includes work from Li-lan and Yun Gee. 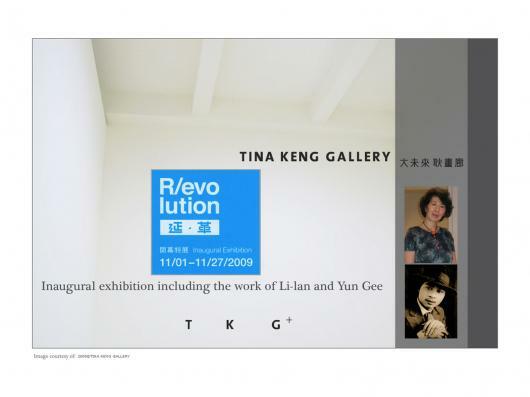 Li-lan’s first exhibition with Tina Keng took place in 1995 and she is delighted to continue working with the Tina Keng Gallery and to be a part of their exciting evolution. Li-lan’s next solo exhibition at the Tina Keng Gallery will take place in the Spring of 2010.